He’s best known as a gambling mogul, the head of the casino company that bears his name. But Steve Wynn also is a masterful storyteller. And there’s one kind of story that the guy who majored in English lit at UPenn focused on Wednesday at the Greater Boston Chamber of Commerce: the rags-to-riches tale. But there’s a parallel story that Wynn wants to tell about Everett, the hardscrabble city where Wynn Resorts is building a $2.4 billion gambling palace along the Mystic River. The site of a former Monsanto chemical plant will come alive with Vegas-style glamour when Wynn Boston Harbor opens in 2019. Wynn mentioned accoutrements like a pair of pricey curved escalators, flower sculptures, and his Popeye statue that is slated to move across the country. There will even be a restaurant honoring Frank Sinatra — with an Emmy, Grammy, and Oscar that the late singer won on display. The Wynn Transformation won’t stop at the property line. 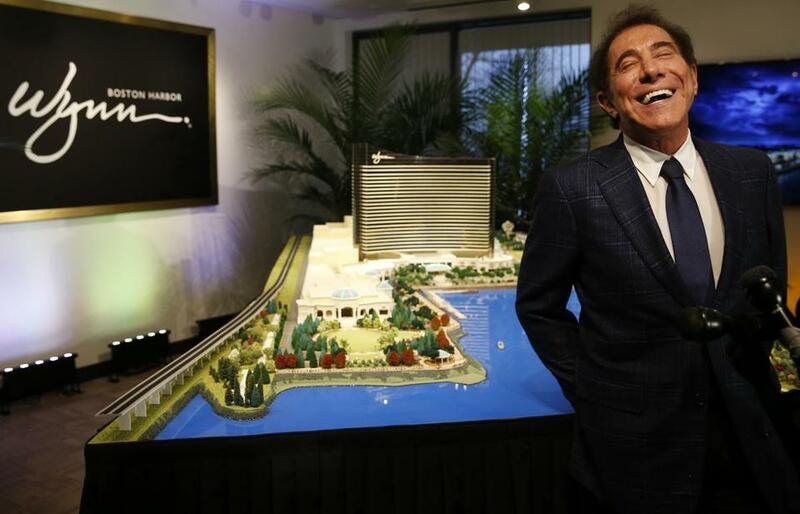 Wynn said his company has spent $75 million buying up nearby properties and is on the way to spending $90 million. These deals aren’t directly related to the casino project, he said. Instead, he said, without getting into specifics, they’re aimed at making Everett a convention and tourism destination in its own right. The stated hope: to show how one business can positively affect the fortunes of an entire city. It’s a compelling story, coming from Wynn. But the final chapter in that one still needs to be written.